Business Name: Costa Rica Relocation ZURMAC S.A.
Expat Experience: For more than twenty years, I had the opportunity to work with professionals from different countries. As a Relocation Manager, I was responsible to perform leadership and management of the Relocation team. This experience enabled me to be exposed to different cultures and deepened my knowledge and understanding in cultural sensitivities and differences. Life Experience: I am a Senior HR Professional and Executive Coach Certified with more than twenty years’ experience in multinational companies and multicultural organizations. Dedicated and passionate about developing strong employee relations and committed to unlocking people’s potential. I have a Master’s Degree in Business Administration with an emphasis in International Business. 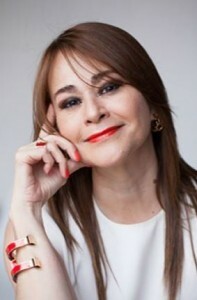 I am also a Certified Professional Coach, Member of the Association for Coaching in London, The Expat Coach Association and Asociación Costarricense de Coaching Profesional. Accomplishments: A trusted space is created for expats to try out new challenges faced in the Host Country. By working with a coach, you get a personalized development plan to engage in over the long-term and most importantly, you have a completely confidential resource outside of your immediate circles to help you make the most out of every experience. What I Love About Working in This Niche: I love to unlock people’s potential. Living and working in a foreign country can be a tremendous opportunity for personal and professional growth. Globalization has changed the dynamics for the expatriate employee as well as for the accompanying family. More and more people are accepting expatriate assignments and contracts in various and flexible forms. Expatriate assignments should not fail, but worldwide statistics show that between 20-50% do. Proper support can have a critical impact on their ability to adapt to their expat assignment. Coaching Style: As a coach, I can provide support in a very holistic manner. My role is to walk by the expatriate’s side, providing motivation, inspiration and helping them to define and meet their personal and professional goals while on assignment. Expatriate Coaching sessions are flexible and can be initiated at any stage of the cycle of adaptability of the Expatriate. A trusted space is created for the expatriate to try out new behaviors and strategies before implementing them in the host country work environment or in a personal setting. Favorite Coaching Tool: Behavioral and attitudinal assessment. Why Clients Choose Me as Their Coach: My professionalism, coaching style and commitment with them. As a passionate coach, I build rapport and create a trusted environment. A Tip for My Niche: Consider what you would want to get from your experience. People who have the best experiences as an expat are the ones that actually have some affinity towards the country that they’re living in.